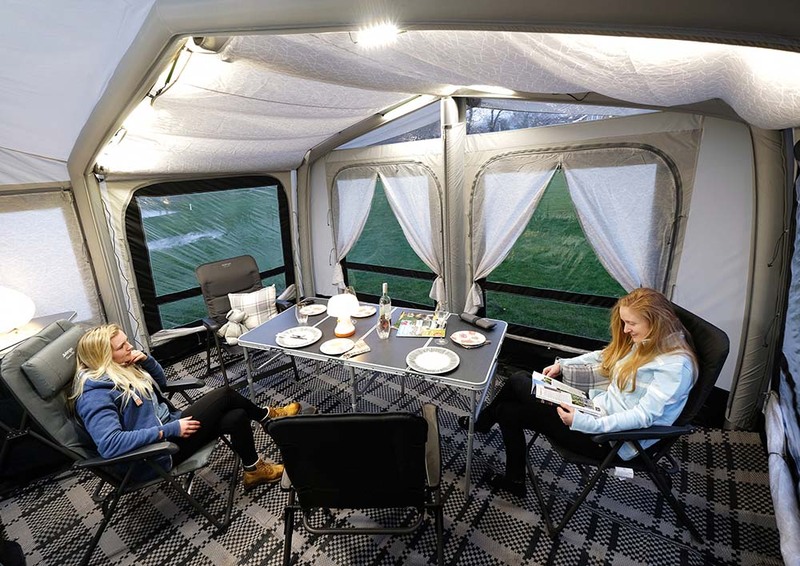 Designed in a traditional yet contemporary style, the brand-new Vango Montelena can be inflated in minutes, making it perfect for touring caravanners. 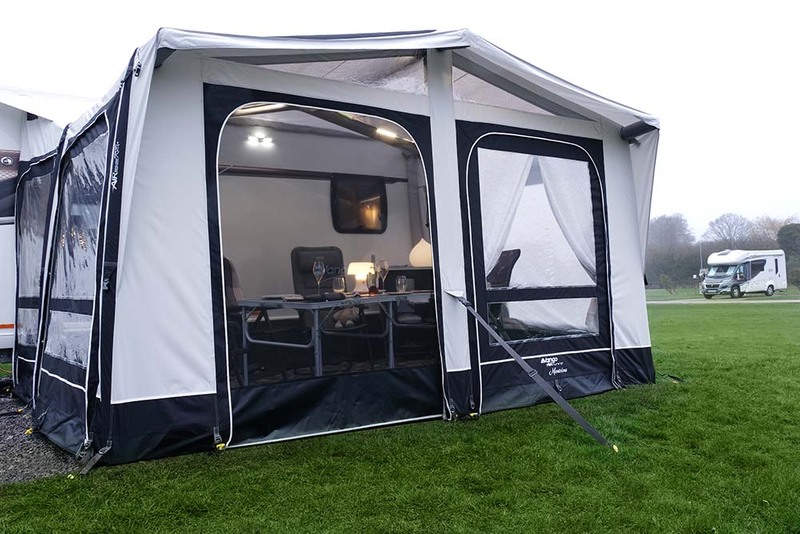 The Montelena features our Sentinel Luxe Taslan fabric with increased strength and durability, as well as our new ColourLok technology to aid colour retention from UV light, give your awning a longer lifespan. 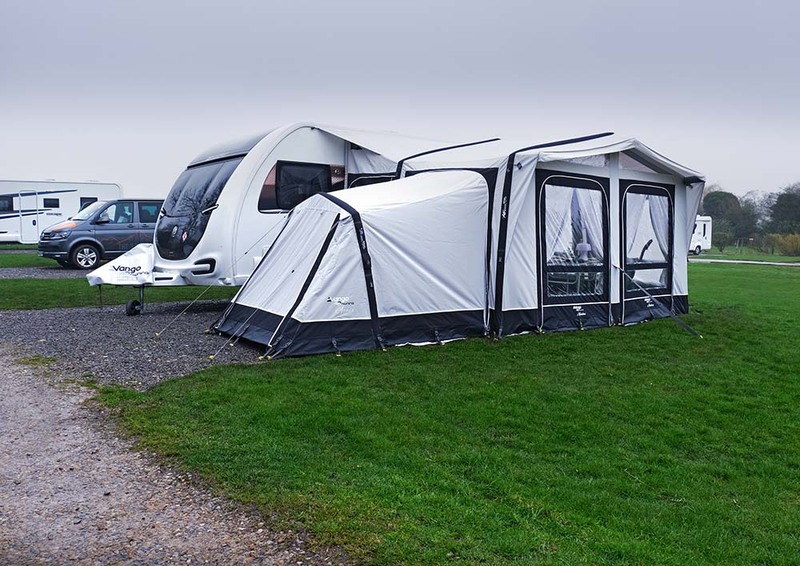 This new for 2019 awning emphasises a truly luxurious look and feel, ensuring confidence no matter what the weather throws at you. 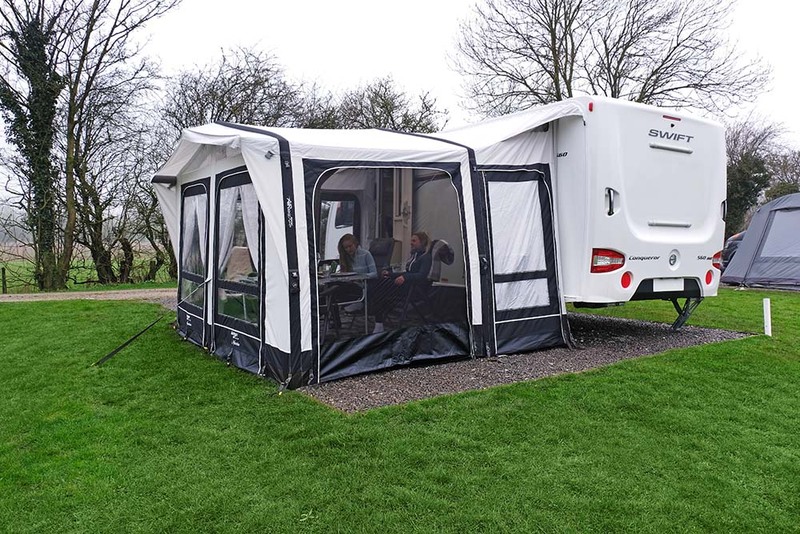 Enjoy relaxing with family and friends in the Montelena with its multi flex-doors, which can be zipped fully or half way and the integrated mesh side doors for added ventilation, ensuring a comfortable environment at all times. Diamond Pro windows and skylight windows also ensure a bright interior and ideal view wherever you may pitch up. 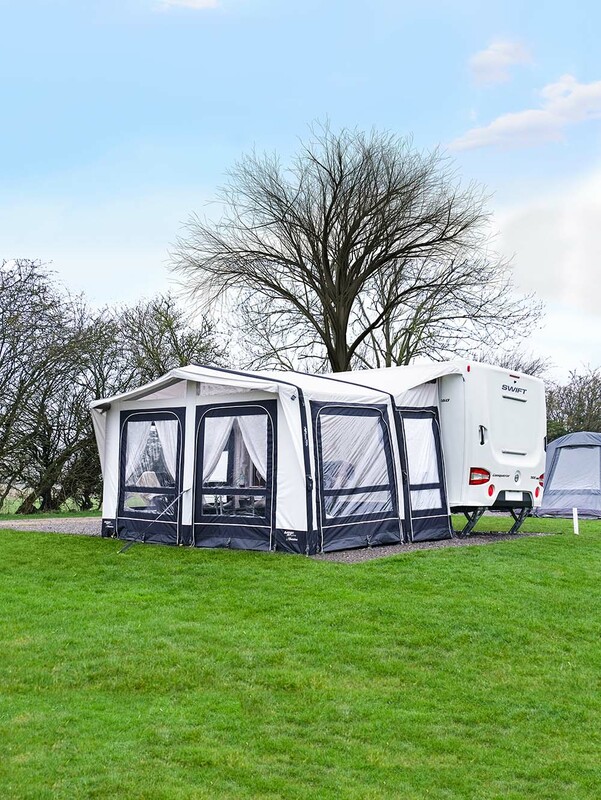 Not to mention the enhanced stability thanks to its pre-angled SuperBeams™ allowing for extra headroom and the front door canopy to ensure no rain drips into your awning. Don't fret about additional guests or bringing a little more luggage as you can easily expand your awning with the Montelena Annex. Simple to inflate with a simple beam and easily zipped onto either the left or right-hand side of your awning side door! The Annex can be used for anything you please, whether that be an extra bedroom for guests or an area for bikes, equipment or storage units. Another fantastic addition to the Montelena is the Mesh Doors, available for the side doors and front doors, allowing maximum ventilation to ensure a comfortable living environment whatever the weather.